German-born American composer André Previn has received acclaim in every musical venue explored during his exceptional career that has spanned more than six decades. Born Andreas Ludwig Priwin in Berlin, Germany, on April 6, 1929, Previn was the youngest child of a wealthy Jewish family. His father, Jacob, was a respected attorney, as well as an accomplished amateur pianist. Music was an important part of family life, and young André, wanting to participate, asked for lessons. After testing revealed that he had perfect pitch, he was enrolled in the Berlin Conservatory of Music at the age of six. As the threat of World War II (1939–45; a war in which German-led forces were crushed by those led by Britain, France, the Soviet Union, and, later, the United States) loomed, life under Nazi (the National Socialist German Workers' Party, which, under the control of Adolf Hitler [1889–1945], took control of Germany in 1933) rule became increasingly difficult, and in 1938 the family fled to Paris, France. Previn studied at the Paris Conservatory of Music until the family moved to the United States. Life in Los Angeles, California, was different from life in Berlin and Paris in almost every way possible—from the climate and architecture to the language spoken and career opportunities available. Upon arrival to the United States, none of the family spoke English, including Previn's father, which made practicing law impossible. To make ends meet, he gave music lessons at home—yet nothing stood in the way of young Previn's musical education. He studied piano, theory, and composition from the best instructors available, Joseph Achron and Mario Castelnuovo-Tedesco. Previn became an American citizen at the age of fourteen, about the same time he became obsessed by the most American of all musical forms—jazz. Previn began splitting time between his classical studies and jazz, and word of his talent spread. As a teenager Previn practiced piano up to six hours a day. Eager to help his family financially, he quickly followed up when he heard that the movie studio Metro-Goldwyn Mayer (MGM) needed someone to compose a jazz arrangement (a musical score). This led to writing more arrangements, at first sporadically and then more regularly, several times a week after school. Seduced by Hollywood's glamour, he signed a contract with MGM when he turned eighteen. He also made his first recording on the Sunset label while still in his teens. Previn's career flourished in the late 1950s and early 1960s with musical hits that he adapted from the theatrical stage for films, and original scores he composed and conducted for other musicals and dramas. He became musical director at MGM, was nominated for sixteen Academy Awards, and won four. Another part of Previn's musical talent was calling, however. According to his own account in No Minor Chords, My Days in Hollywood, he longed to be part of the inner circle of what he regarded as the legitimate world of classical music. Hollywood was not the place to write and perform serious music. In 1965 he began recording with the London Symphony Orchestra, and from 1967 to 1970, he was conductor-in-chief of the Houston Symphony Orchestra. and he married Farrow shortly thereafter. Due to career conflicts, they divorced in the late 1970s. Life changed gradually until Previn accepted the appointment of principal conductor with the London Symphony Orchestra in 1969. In London he became a popular personality, appearing frequently on television to talk about music. He also toured throughout Europe and the United States with the London Symphony, and became especially well known for his interpretations of British and Russian symphonic works. 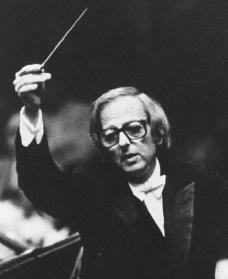 Throughout Previn's active conducting career—with the Pittsburgh Symphony Orchestra (1976–1984), the Los Angeles Philharmonic (1985–1989), and the Royal Philharmonic (music director, 1985–1988; principal conductor, 1988–1991), and as Conductor Laureate of the London Symphony (since 1993)—he continued to compose. Compositions included a Symphony for Strings ; "Four Outings," for brass quintet; a piano concerto, commissioned by Vladimir Ashkenzy; a cello sonata, written for Yo-Yo Ma; a song cycle, written for Dame Janet Baker; a music drama, Every Good Boy Deserves Favour, written in collaboration with playwright Tom Stoppard; and an opera based on Tennessee Williams's (1911–1983) A Streetcar Named Desire, commissioned by the San Francisco Opera in 1998. In 1982 Previn married Heather Hales and they had one child. In the early 1990s he returned to one of his first loves—jazz. He resumed recording, and formed the Andre Previn Jazz Trio, which toured Japan, North America, and Europe in 1992 and 1993. In 1998 Previn was honored with an award for his career as a conductor and composer at the Kennedy Center Honors ceremony in Washington, D.C.
Bookspan, Martin, and Ross Yockey. André Previn: A Biography. Garden City, NY: Doubleday, 1981. Previn, André, with Antony Hopkins. Music Face to Face. London: Hamilton, 1971. Previn, André. No Minor Chords, My Days in Hollywood. Garden City, NY: Doubleday, 1991. Ruttencutter, Helen Drees. Previn. New York: St. Martin's Press, 1985.